Founded by the Korea International Broadcasting Foundation, Arirang Radio, Korea's premier English-language radio station, takes a key role in promoting Korea's dynamic image, as well as offering resources on magnificent attractions that foreign tourists can enjoy. 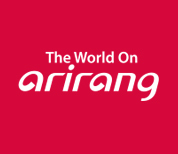 Targeting both domestic and international listeners, Arirang Radio which not only provides useful information on real life, including life & culture, weather, traffic, trips and more, but also delivers up-to-the minute domestic and international news in a timely manner aims to help international listeners understand the development of Korean tourism through the recognition of Korean culture and arts and serve to spread the globalization of Korea. With FM radio service available on Jeju-do Island and DMB service available in terrestrial formats in Seoul and capital area, we also broadcast our programs live in real time through internet streaming service and smartphone application. Arirang Radio is committed to strengthening our country's competitive power in the ever-competitive media market and working for Korean citizens to lead the world. 2009. 02 Begins broadcast in Pusan province through Busan e-FM.